“Collision FX” delivers an exceptional palette of sounds to design, compose, score, sweeten and create astonishingly impressive cinematic elements. 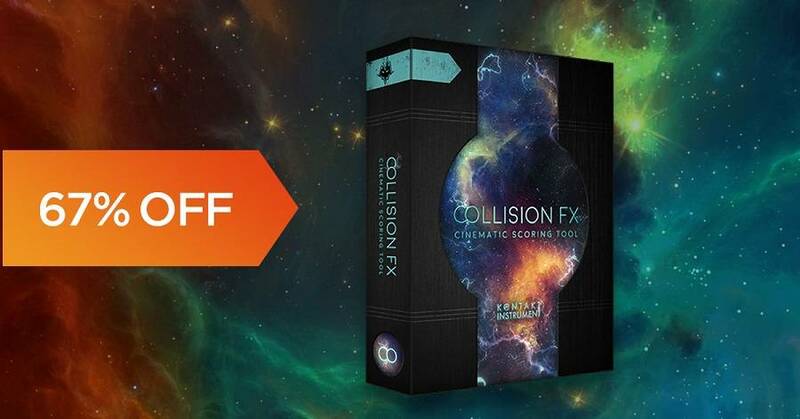 “Collision FX“ is the ultimate cinematic sound design toolbox to help you create breathtaking cinematic dynamics, hybrid sound effects and orchestrated elements with ease. Each sound has been hand crafted and created by expert sound designers, audio engineers and musicians for adding film and AAA game style cinematic elements to your mix or score in an instant! With 3,100+ Sound Sources @ 96k 24bit Resolution, 14.72GB of Samples (uncompressed) and 190 IR Reverbs for Extraordinary Spatial and Ambient Overtones, this is the ultimate cinematic sound design library. Best of all this library is compatible with the free Kontakt Player, no other software is required!